You've all seen those cool little Bento Boxes floating around the internet, right? Know what makes them even cooler? That's right! Check out these Star Wars Bentos by Bento Blog Network! 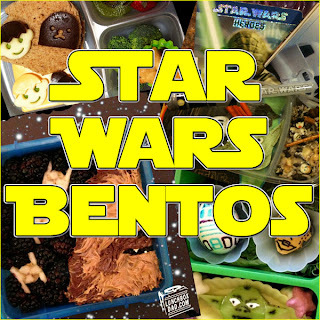 Click HERE to look at all of the awesome Star Wars Bentos! Click here to see which super parties I link up to!